College can help you realize your dreams. Unless it leaves you with a student loan nightmare. 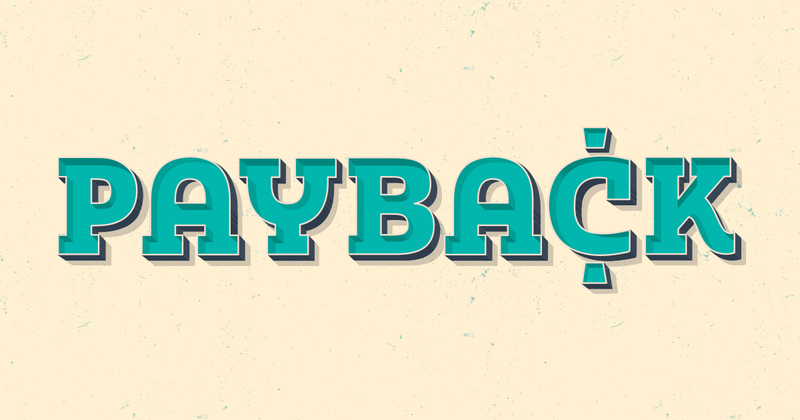 That’s the slogan for the online game Payback, created by Tim Ranzetta after a stint as a student loan consultant. According to an interview with the New York Times, Ranzetta was frustrated to find how many people took on student loans without understanding the long-term implications, so he thought up Payback as a way of simulating the realities of going through college with substantial student loan debt. In Payback, players go through the process of attending college, making a series of decisions that start with picking a school to attend. Public university? Community college? Private institution? From the beginning, there is a tradeoff to be made between cost and prestige. As players progress through the four years of college, they encounter a seemingly endless variety of other choices to be made: do you work a job, and if so, how many hours a week? What school supplies do you want? What meal plan? Do you spend a little extra to go out with your friends every Friday? Over the course of the game, there’s a running debt tally that fluctuates depending on your choices. But as in real life, there are tradeoffs to be made. There are also counters for academic focus, connections and overall happiness. For example, working long hours every week will help bring your debt down, but your academic focus will take a hit. And skipping Friday nights out with your friends will keep your budget down, but you’ll be sacrificing some happiness. In the worst case scenario, you implode on one of the four measures. Give up too much of your social life in order to cut down on debt or devote all your time studying, and you lose Payback because you run out of happiness. Spend too much time relaxing or working a job with long hours, on the other hand, and your academic focus might tank. Make it to the end of senior year, and you’ll still have to answer questions about whether to go to grad school, what to wear to job interviews, and even whether you’ll rent or buy a cap and gown. If you complete college while successfully balancing happiness, connections and focus, and also keeping your student loan debt lower than your starting salary, then you win Payback. That is, your investment into your education pays back. If you lose, though, tough luck: you’re left without a degree, and you still have to pay back your student loans. In this scenario, Payback gives you the comforting message that at least your family still loves you! Unfortunately, you can’t pay student loan debt with love. What makes Payback compelling is that it contains more than a little truth. Students really are confronted with hundreds of small and large decisions that have hidden long-term implications for their college experience, and their ability to pay back student loan debt. Here are some takeaways from the game. In Payback, you start the game by filling in your GPA, your extracurriculars and the state where you live. Then you’ll have to choose between community college, in-state public university, out-of-state public university and private university – depending on which ones you’re accepted to. The choice you make at this stage changes how the rest of the game unfolds. If you play the application process right, you’re setting yourself up to have much greater odds of winning the real-life “Payback” game – that is, of having your college investment pay off. Not making the most of your options, on the other hand, will make it that much harder to balance factors like happiness, cost and connections. That’s why it’s important to be strategic and thoughtful when it comes time to build your college list. This involves watching out for and avoiding common mistakes like choosing a college based on name only, or passing up an opportunity to visit and relying only on marketing materials. At ThinkTank Learning, we can help you put together this list. In fact, we can do you one better – we can estimate your chances of getting into the colleges you’re interested in. We take this process seriously because we understand that making the most of your college investment requires laying the right groundwork before you apply. Need Help Building a College List? One of the main takeaways from Payback is that succeeding in college means being prepared to simultaneously work toward different goals that may contradict each other. Getting good grades, being happy and keeping debt down are all important – so how do you do all three? An example is the decision of how much to work during school. In Payback, deciding to work more knocks thousands off your student loan debt, but it also loses you points in academic focus. In real life, there are similar tradeoffs. As Inside Higher Ed notes, working long hours in college is associated with both certain advantages and disadvantages. In particular, working 20 or more hours a week is correlated with lower grades. As in Payback, working more means studying less. On the other hand, besides helping with debt, working more than 20 hours a week is actually associated with improved psychological well-being and leadership skills. Ultimately, there’s one more important factor that makes these tradeoffs more complicated in real life than in Payback: individual differences. Working 20 or more hours a week while in school will affect different people in different ways. For some people, working relatively long hours in school could be the difference between an A- and a B+ while for others it could be the difference between passing and failing. Then there’s the fact that in real life, people start the college game with different financial resources. For some, the decision not to overwork is easy while for others, working 20 hours a week may be a necessity. That said, the game is thought-provoking for anyone. For more details, play the game online at timeforpayback.com.